It's finally here, the mobile operating system from Microsoft for which we've been waiting. Though Windows Phone 8 is surely familiar to anyone who's used Windows Phone 7 or 7.5, there are enough new features that even the most devoted Windows Phone user will find plenty of new gems to like. 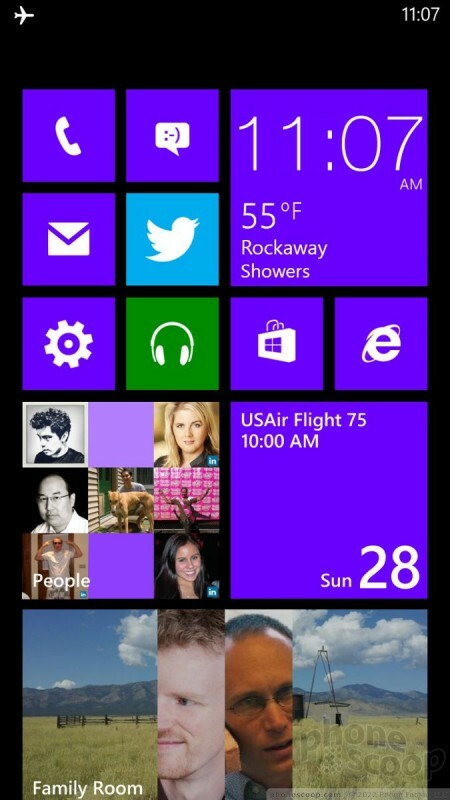 Windows Phone 8 represents a major revision of Microsoft's mobile operating system. Though it looks and feels similar to Windows Phone 7 and Windows Phone 7.5, the underlying code is entirely different and shares the bulk of its code base with the also-new desktop Windows 8 and tablet Windows RT platforms. It represents years of work on Microsoft's part aligning the three so that it has a cohesive platform strategy moving forward. According to Microsoft, it chose this path to make it easier for developers to create applications for all three platforms. Microsoft representative Greg Sullivan explained that about 90% of the APIs for the Windows 8 kernel are applicable to all three variations. This means that if developers want to make a Win8 app, and then port it to RT or Windows Phone 8, they only need to change about 10% of the code. This might seem overly geeky, but it will play a huge role down the road for Windows 8, Windows RT, and most importantly, Windows Phone 8 apps. The basic user interface of Windows Phone remains mostly unchanged, though the tweaks Microsoft made to the Start screen are very welcome. 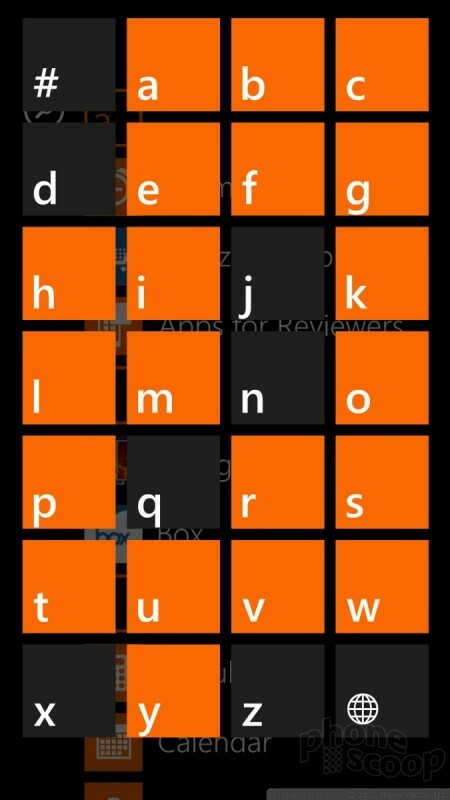 You still have a crossword puzzle of Live Tiles on the main home screen and then an alphabetized list of apps, tools, and so forth on the app menu. 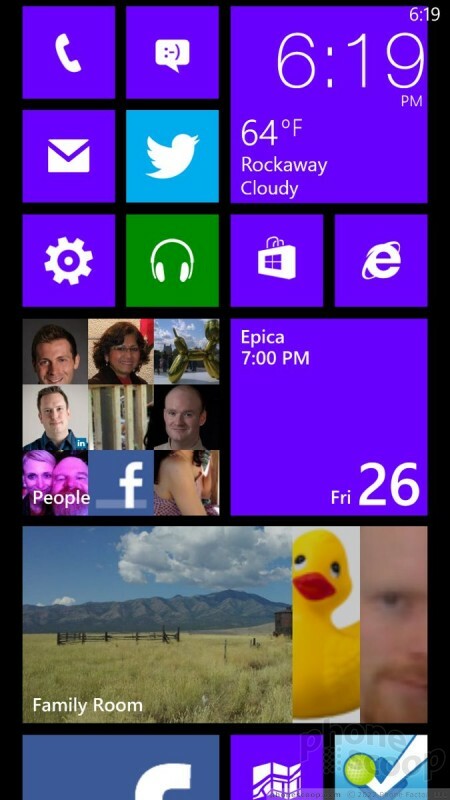 The Live Tiles on the Start screen now fill the entire display edge-to-edge. On WP 7.x, Microsoft left a blank strip between the Tiles and the right edge of the display. 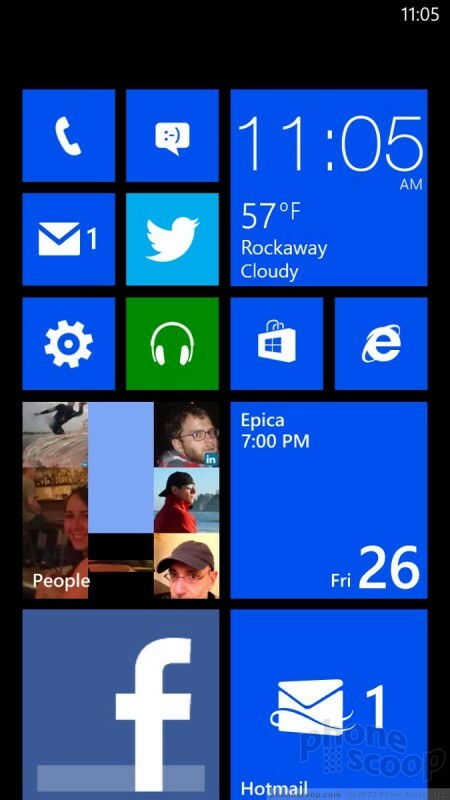 That is gone, which means the standard Live Tiles are slightly bigger and content on them is easier to see. This change also makes room for more, smaller Tiles. There are now three Live Tile sizes; small, medium, and large. It takes four of the smallest Tiles to equal one medium Tile, and (as before) two medium Tiles to equal one large Tile. 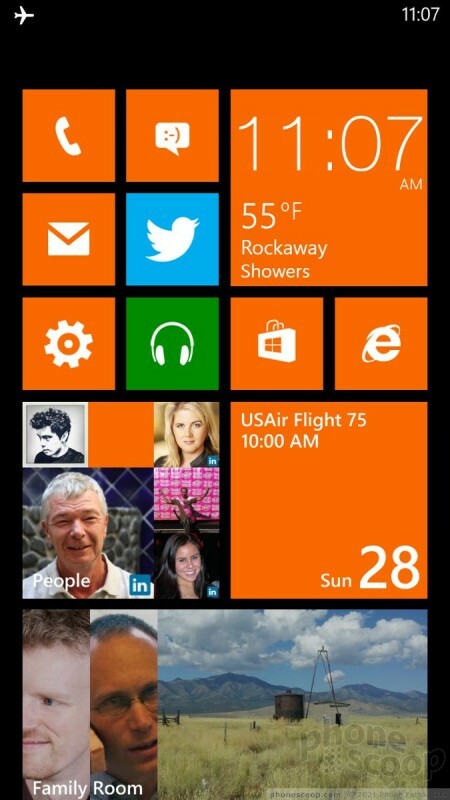 The best part of the new Live Tile arrangement is that they can all be resized. It takes just a few taps to change any Tile from small to medium to large and back again. There's a catch, though. The smallest tiles aren't really Live, or at least not to the extent of the medium and large Tiles. For example, if you minimize the messaging Tile to the smallest size, the only Live content you'll see is an unread message count. When this same Tile is set to medium or large, you'll see message previews, and so on. 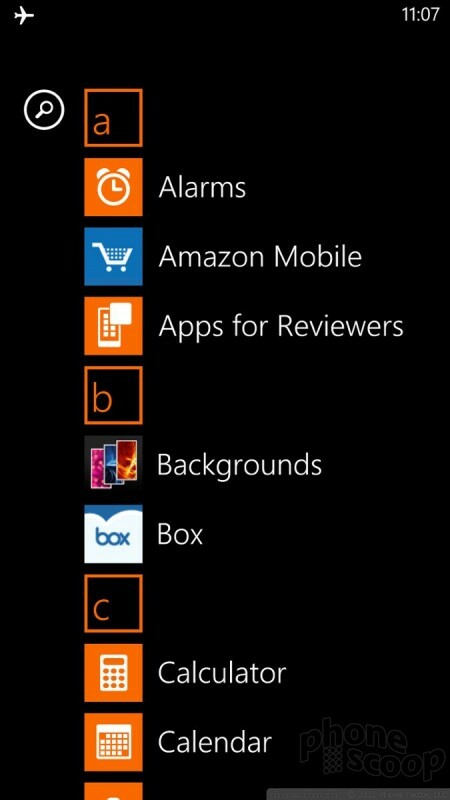 The full app menu is basically identical to previous versions of Windows Phone. The three buttons below the display (Back, Home, Search) are the same, and have the same action that they've always had. We tested Windows Phone 8 on a pre-production HTC 8X, and can report smooth operation of the user interface. It's a fast and fluid operating system. OnePlus is expected to announce the OnePlus 6 flagship phone in the coming weeks and today it shared some information about the design. Taking the company's blog, CEO Pete Lau described in detail the company's design philosophy. Microsoft today announced several new mobile initiatives that pair its own Windows platform with Android and iOS devices. First is a new tool, tentatively called Your Phone, that connects Android and iOS devices with a Windows 10 PC in order to access text messages, photos, and notifications. Microsoft has added the Samsung Galaxy S9 and S9+ to its online store. The devices are pre-configured with Microsoft apps and services. or use Windows 7 mode on Windows 8? Why? Just use it as you would Windows 7. Geezus, people--just read up on something before you comment. I have been following Windows Phone 8 for some time now. I have been an Iphone user since the 3g days but I am ready to break out from under Apple's control. 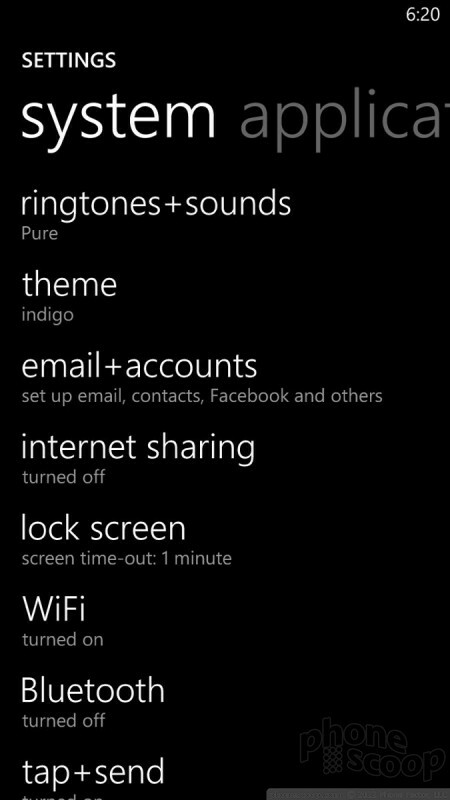 One thing I havent been able to find is how much, if any, personalization will be in WP8. My question is will there be custom tones and alerts, contact specific tones and such will be available? With that said, everything I have seen today looks very slick. LUMIA 920 here I come. Supports full custom ringtones, even for each individual contact. Windows Phone 7 didn't out of the box, but this feature was added in with 7.5 I believe, and has been improved with 7.8 and 8 (ringtones, alerts, everything can be customized). Been waiting for this since Friday. Beautiful write-up. I'm pretty convinced my next phone is going to be a Windows phone, probably the Lumia 920. Best Phone I Have Ever Owned in My Entire Life! I was partial to Android. Three Android phones later (and also one iPhone later), I decided to take a leap and go with the Lumia 710. I knew it was a low to mid-range Windows 7.5 phone that would not be capable of upgrading to 8, but bought it anyway. Best Buy price matched it to Amazon, so I got a great deal. I was VERY skeptical, and anticipated taking it back, but I was pleasantly surprised. It does not lag, freeze up, or display any sort of weird stuff that all of my previous Androids displayed. Plus, it synchronizes with everything...I was heavily invested in the Google ecosystem, and it easily synced all my contacts and calendar.